1) It can lead to breakouts: as most makeups are made of oily substances; when it stays on for the next day, it clogs your pores and leads to the appearance of more acne and blackhead breakouts. 2) It can lead to dull-looking complexion in the morning, since your skin gets dry. 3) It can block your nighttime anti-aging efforts. If you apply your anti-aging skin care products on top of your makeup at night, they won’t work like they supposed to. 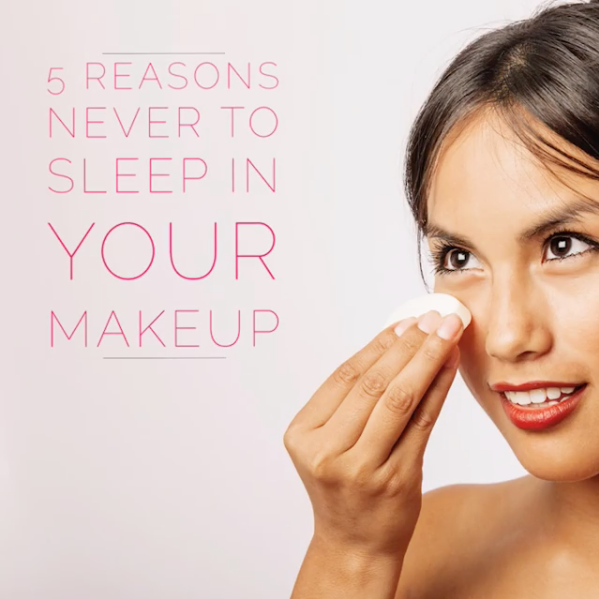 4) Sleeping in lipstick makes chapping worse. Many lipsticks are very drying. 5) When you sleep in mascara, this one flake off roughly, pulling some of your eyelashes out with it.